Prof Sanjay Bakshi, the authority on value investing, keeps a straight face even when his favourite stocks are being battered out of shape. This is the hallmark of an expert investor who can take the rough with the smooth. In an article of June 2015 at the microcap club, the Prof had revealed that the stocks held by his ValueQuest India Moat Fund had generated an impressive return of 108% in the period from April 2014 to 30th April 2015. He also pointed that the stocks had “very high quality of earnings”, “exceptionally strong balance sheet quality” and “highly scalable businesses”. The Prof has not disclosed the names of the stocks held by the ValueQuest India Moat Fund though we know that it includes Ambika Cotton, Poddar Developers, Wim Plast, Ashiana Housing, Accelya Kale Solutions and Kitex Garments. Some other of the Prof’s favourite stocks, which may or may not be present in the portfolio of the ValueQuest India Moat Fund, includes Vaibhav Global, Thomas Cook and Relaxo Footwears. The irony is that the two stocks that the Prof talked about exuberantly in his “lecture notes”, namely Vaibhav Global and Kitex Garments, are the worst affected. The Prof had praised Vaibhav Global and its promoter (Sunil Agrawal) for creating a “highly profitable, cash generating, extremely well financed, and dominant business in its space”. The Prof also lauded the Company for its “impenetrable moat” and confidently assured the readers that “VGL’s tomorrow will be alright”. Vaibhav Global has disappointed the Prof and his vast legion of fans once again. It reported dismal Q4FY16 results and sank a whopping 15%. The YoY loss is itself a whopping 69%. In the case of Kitex Garments, the Prof waxed eloquent about the prospects of the small cap and added that he “feels good” and “absolutely loves” that he has invested in the “pro-social and yet highly profitable business”. Kitex Garments has also disappointed by losing 41% on a YoY basis. The loss from the peak of Rs. 1070 is 56%. It is noteworthy that in respect of both stocks, the experts at the valuepickr forum had raised red flags. We have already seen the ominous warnings issued by the experts in the context of Kitex Garments, many of which appear to have come true. 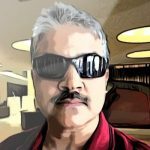 Even in the case of Vaibhav Global, the experts at the valuepickr forum were not impressed by its prospects despite the Prof’s glowing tribute to it. One expert pointed out that the deluge of bad reviews against Vaibhav Global in the social media could not be ignored as it could itself become a “black swan event”. It was also stated that the Company’s non-disclosure of a class action suit against it showed low corporate governance standards. Another also explained that the so-called “moat” was “illusionary” and he gave cogent reasons in support of his argument. In fact, the discussion at the valuepickr forum got so heated with regard to Kitex Garments and Vaibhav Global that the moderators had to lock down the forum to cool down tempers and bring some semblance of objectivity into the discussions. Receivables up 53.2% for #KitexGarments in a yr when sales up 6.7%; debt has been pared a bit but the 'infamous' cash now gone up to 249cr. We will have to see whether the Prof provides an update with regard to both stocks. As considerable time has elapsed since the two “lecture notes” were issued, the time is ripe for an update on whether there are any lessons to be learnt from the failure/ disappointment of the two stocks. In the case of Kitex Garments, the Prof has made it clear that he is still bullish by getting the ValueQuest India Moat Fund to buy more stock. The Moat Fund started FY 2015-16 with 156,519 shares of Kitex Garments. It bought 42,800 shares on 28th August 2015 and 80,000 shares on 5th February 2016. As of 31st March 2016, the Fund owns 279,319 shares. The Prof’s attempt to average the purchase price has not fared well because the stock price has been steadily sliding. The stock price was Rs. 546 on 1st April 2015. It shot up to Rs. 695 on 28th August 2015 when the Prof bought the first tranche and slid to Rs. 441 on 5th February 2016 when the Prof bought the second tranche. The net result is that the Prof has suffered a MTM loss on the averaging exercise. The holding is worth Rs. 13 crore at the CMP of Rs. 467. In contrast to the Prof’s bullishness for Kitek Garments, Ashish Kacholia lost confidence in the stock and dumped his entire holding of 475,000 shares. Ashish Kacholia was careful to keep his selling action stealthy so as not to attract unwanted attention. He visited the Kitex counter on ten occasions to dump his vast holding, selling as few as 86 shares on one occasion. 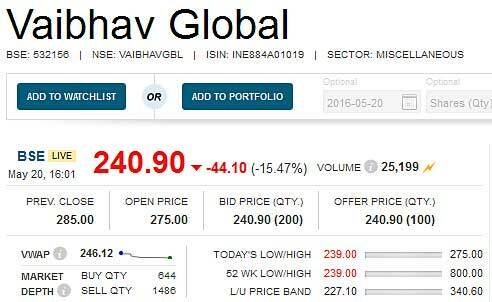 My guess is that the savage fall in Vaibhav Global is also because a number of savvy investors are dumping the stock. Whether the Prof has joined their ranks or whether he is seeking to average his purchase price requires to be seen! 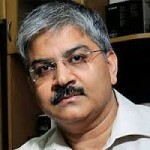 Why Is Prof Sanjay Bakshi Aggressively Buying A Stock Dumped By Ashish Kacholia? First pump and later dump. Happy Birthday. professor bought his initial major stake of 156,519 well before stock was recognized all over. his buy time was jan-feb 2014 ..
Hope It will Clear some Froth from windshield….Best Of Luck. I don’t think it is fair to blame Prof. Bakshi. He was speaking about the stock when it was too cheap. No stock can sustain 1000% returns.. I needs to fall to become reasonable. In my view picks of Dolly Khanna are better in terms Qualty and entering price ,although information about her picks generally comes when stock is no more under priced. In my view many experts including Prof had bought stocks ,when small and microcap were grossly underpriced, any one who had bought even any average stock ,might have made money.Now market is fairly valued and most of experts are failing miserably now,showing their poor expertise about stock selection.Here I would like to congratulate few small and mid cap fund managers ,who give positive returns even in last one year,like DSP microcap,Franklin small cap,Mirae emerging blue chip and Rel small cap are few of them.